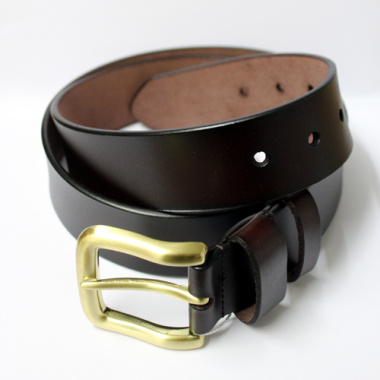 This luxury Leather Belt from Hoggs of Fife is a plain, classic design with a chunky brass coloured buckle. It comes in dark brown or black and is approximately 1.5 inches wide. Available in three sizes, this men's leather belt looks good with jeans, breeks or country trousers.